Dempsey, Hugh A.. "Piikani". The Canadian Encyclopedia, 05 October 2018, Historica Canada. https://www.thecanadianencyclopedia.ca/en/article/piikuni-peigan-pikuni. Accessed 20 April 2019. 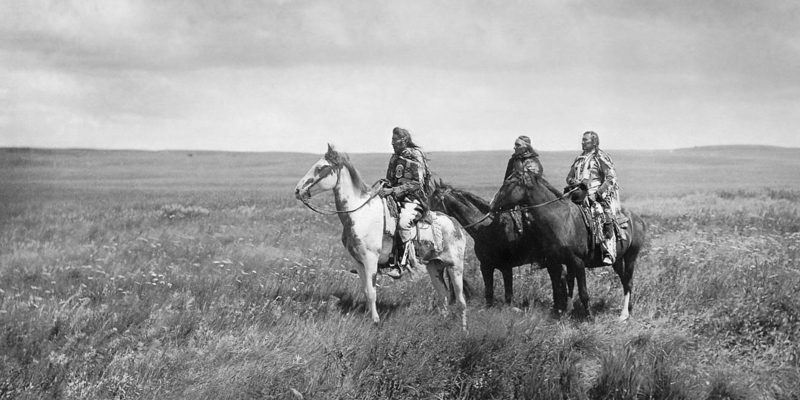 Piikani (Peigan, Pikuni, Piikuni) are one of the three nations of the Blackfoot Confederacy. (The other two are the Siksika and Kainai.) 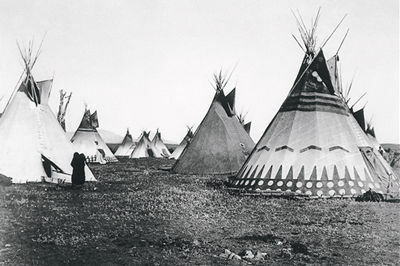 The Piikani once occupied a vast hunting ground which ranged along the foothills Rocky Mountain House to Heart Butte, Montana, and extended eastward onto the Plains. According to the Piikani Nation, there are about 3,600 registered members living and working both on and off their reserves located near Pincher Creek, Alberta. 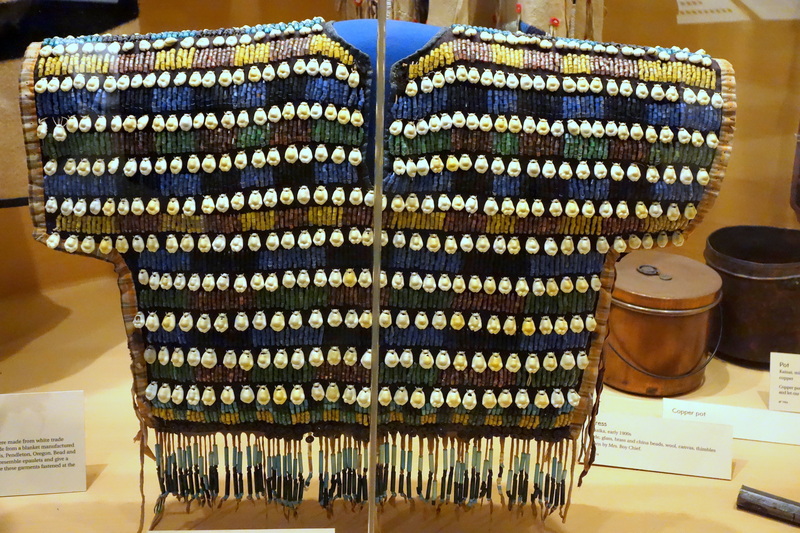 Amsskaapipikani (Southern Piikani) bodice, circa early 1900s. Made of cotton, glass beads, brass disks, cowrie shells and buckskin fringe. 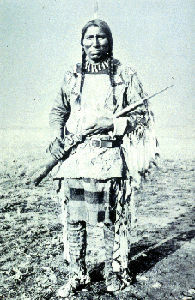 A North Piegan Blackfoot chief in traditional dress. 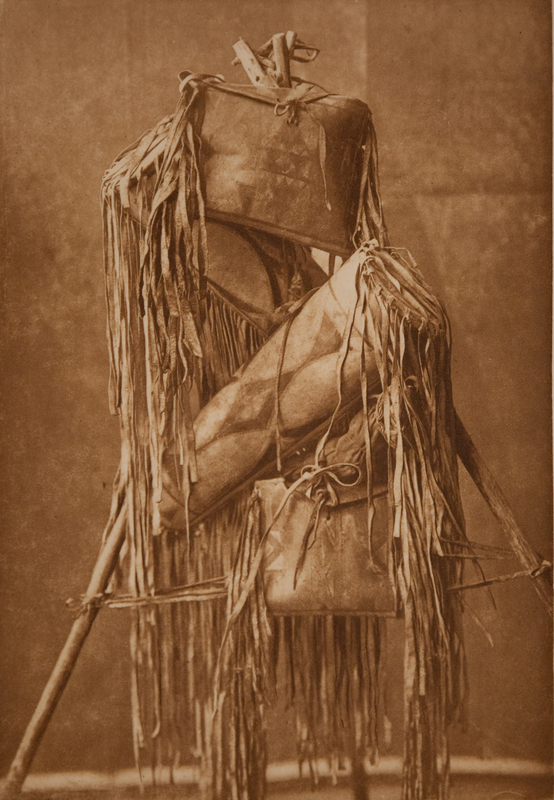 The black painted stripes on his buckskin leggings refer to his war record (courtesy Glenbow Archives). Today, the Piikani have two reserves in Alberta, one of which is a timber reserve, the other is the location of the town site. According to the Piikani Nation, there are about 3,600 registered members living and working both on and off reserve. In the 2016 census, 22,490 people identified as having Blackfoot ancestry. This number includes the Piikani as well as the Siksika and Kainai. This drawing shows how completely the Plains Indigenous peoples such as the Blackfoot, Blood, Dakota Peigan and Sarcee depended on the bison (artwork by Gordon Miller). In southern Alberta (photo by E.S Curtis, courtesy Library and Archives Canada/C-19983). 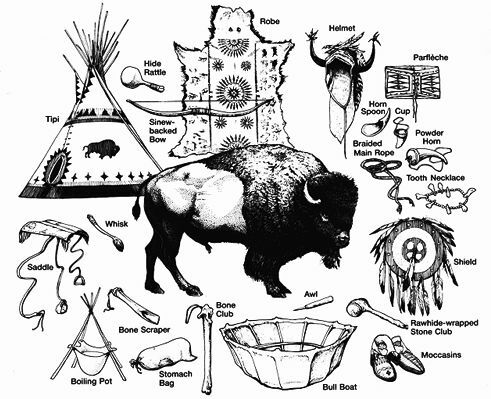 In the pre-colonial era, the Piikani, like other Blackfoot nations, were dependent on the bison or buffalo (Iinii) for food, clothing and to make tools. While they also hunted other large game, such as deer, and supplemented their diet with vegetables, nuts and fruits, their traditional economy and culture centred on the bison hunt. The Piikani had complex warrior societies. Their enemies included the Crow, Shoshone, Nez Percé, Dakota and Assiniboine. Warfare among Indigenous nations during the 1700s intensified with the introduction of guns and horses by Europeans. 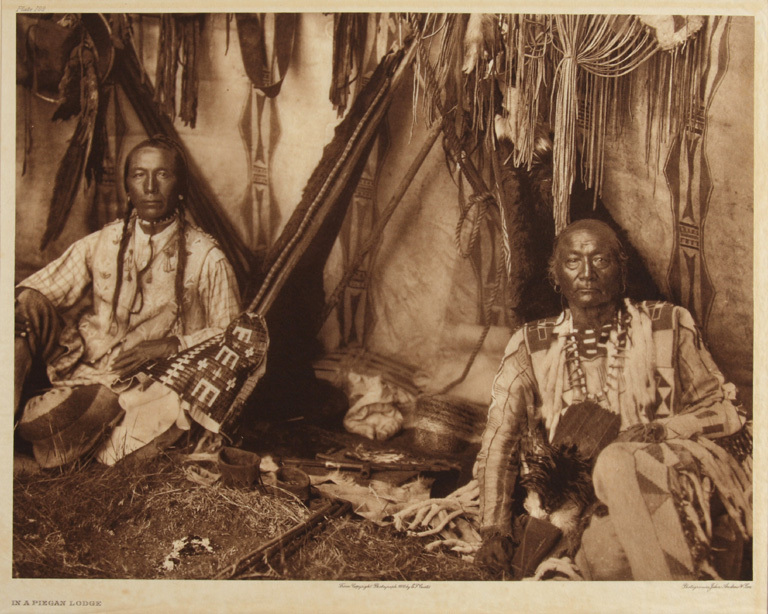 Warriors held a high social status in their communities as defenders of the Blackfoot nations. Historically, the Piikani were a large community, numbering about 3,000 to 5,000 before colonization. Although it is not clear why, the Piikani divided into northern and southern bands prior to the arrival of European traders. Despite this separation, they often travelled together and were so intermingled that a clear division was impossible. Piikani culture was traditionally passed on through oral histories. This culture includes participating in sweat lodges, the Sun Dance, using medicine bundles, and other means of purifying the body and soul. While various government-implemented assimilation policies, such as the Indian Act and residential schools, threatened and even outlawed the practicing of certain cultural ceremonies, Piikani culture has survived to this day. The Piikani had a strong religious and spiritual culture that was passed on through oral histories. This culture includes participating in sweat lodges, the Sun Dance, using medicine bundles, and other means of purifying the body and soul. Although creation stories differ according to northern and southern oral traditions, the Piikani and Piegan generally believe that the Creator (also known as Old Man or N’api) was light personified, and considered to be the beginning of the day, the beginning of life. In some Piikani stories, Old Man is associated with the sun and therefore referred to as Natos (sun). As in other Indigenous religions, the Creator is non-human and non-gendered. Old Man created and is eternally part of all the living people, creatures and life forms on the earth. During the 1700s, the Piikani interacted with traders from the United States and the Hudson’s Bay Company. 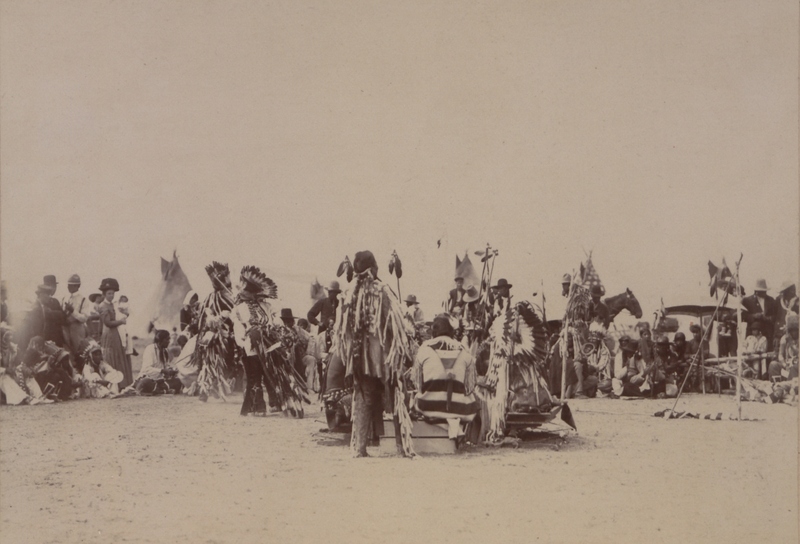 Supported by a large Blackfoot force, the Piikani and their allies were one of the most powerful Indigenous groups on the Northern Plains, temporarily impeding the westward expansion of European settlers. However, contact with White traders and missionaries had significant effects on Piikani traditional life. Exposure to European diseases and intensified warfare reduced their population after the 1837 smallpox epidemic. In 1870, seven years before the northern and southern groups settled on reserves, their population was further reduced. As of 2016, the Piikani Nation counts about 3,600 registered members, nearly 40 per cent of whom live and/or work and go to school in urban areas off reserve. The Piikani have two reserves in southern Alberta with a total landmass of 45,677.8 ha. Reserve 147a (located along Highway 3, midway between Fort Macleod and Pincher Creek) is known as the Brocket town site, and Reserve 147b (13 km southwest of Fort Macleod) is known as the Timber Reserve. The Piikani engage in ranching, agriculture and other business ventures on reserve. They are also an active member in Indigenous	associations, including the Treaty 7 Management Corporation and Blackfoot Confederacy. 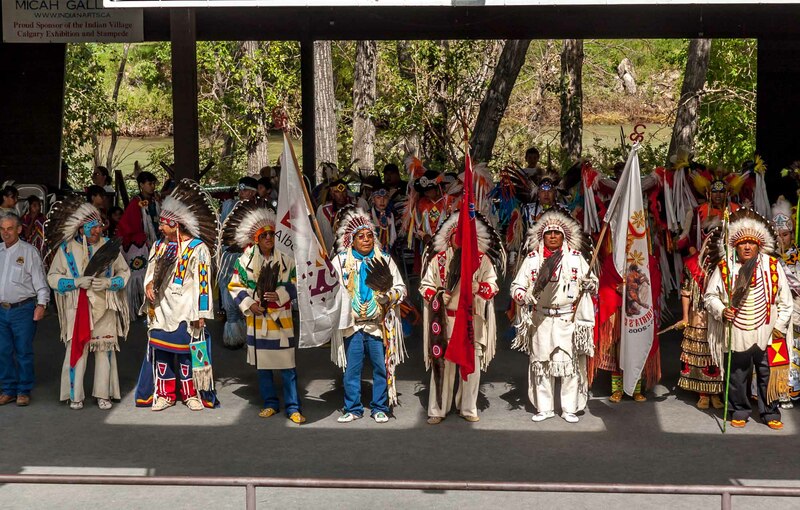 In 2014, the Piikani joined other First Nations in signing the Iinii Treaty or Buffalo Treaty, including: the Blackfeet Nation, Siksika Nation, Kainai Nation, Assiniboine and Gros Ventre Tribes of Fort Belknap Reservation, Assiniboine and Dakota (Sioux) Tribes of Fort Peck Reservation, Confederated Salish and Kootenai Tribes (see also Coast and Interior Salish), and the Tsuut’ina Nation. 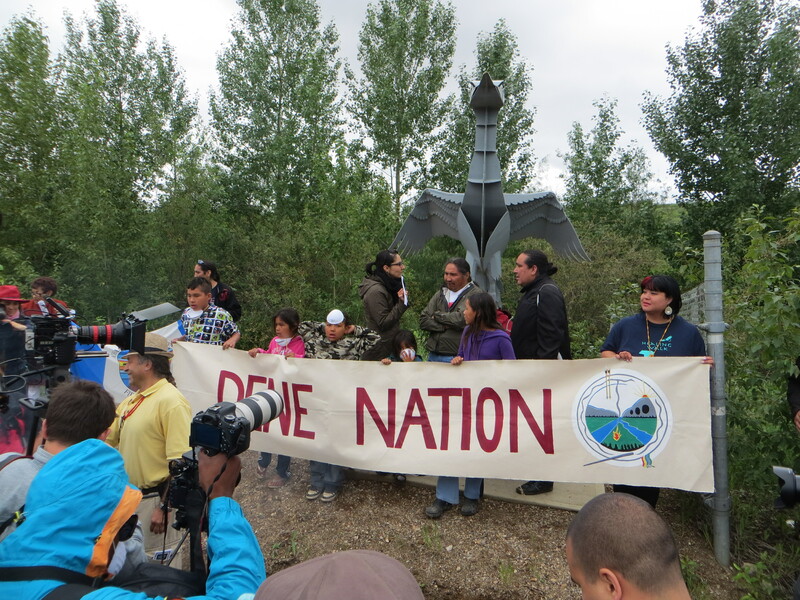 In 2015, the Stoney Nakoda Nation and the Samson Cree Nation also signed this “open treaty,” which is open to other First Nations from Canada and the US. Among other issues, the signatories agreed to unite the political power of Northern Plains Indigenous	nations, work towards bison conservation and strengthen traditional relationships to the land. Jay Hansford C. Vest, “The Old Man River and the Sacred: Meditation upon Aputosi Pii’kani Tradition and Environmental Ethics,” Canadian Journal of Native Studies vol. 25, no. 2 (2005): 571–607. Piikani Nation Learn more about the Piikani people, culture and history.